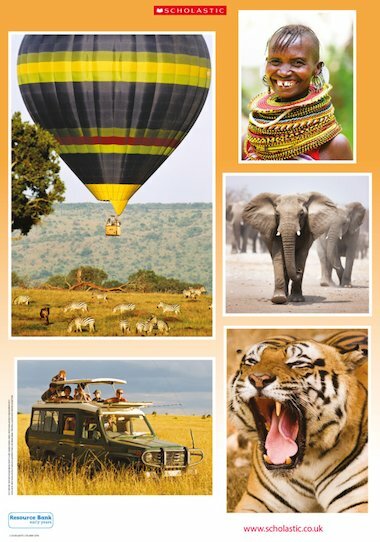 Use this poster with children to discuss what you might see on safari, how you might travel and the animals that live in other countries. Display the poster at child height so you can discuss the images together. Gather together related items and arrange them on a table alongside and encourage children to explore them freely. Alternatively, cut out and laminate each image to create a set of picture cards. Display the cards in different play areas so that children can use them as they choose.